What Does a Feather Symbolize? Feathers have many different meanings, but they have always been associated with freedom, transcendence and communication with spiritual realms. Finding a feather can be an uplifting, spiritual experience, especially when you find one in an unexpected place such as in your house or in your purse, where there isn't an easy way to explain its presence. Any feather can be a sign, but the meaning of finding a feather in an unusual place or having one suddenly float across your path can especially seem to be a sign from the angels or from a loved one who has passed to the other side. Have you ever heard the phrase, "Feathers appear when Angels are near?" Our angels are always silently near, to give us comfort and support, but because we cannot see them, it is believed that they will sometimes use a feather to remind us that they are here for us or to send us a little encouragement that we are on the right path. 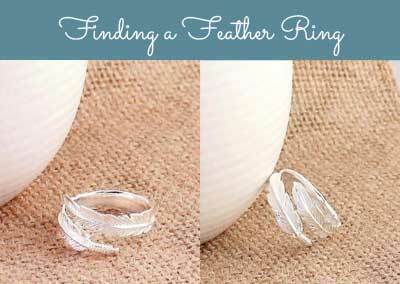 You may wonder, "what is the meaning of finding a feather?" Because it is a very personal experience, the meaning will be different for each person. To get a clearer understanding of the significance of the feather, you might try to remember if you were thinking about anything when the feather appeared. You might also ask yourself if there is some issue or question you have lately been pondering in your life. The feather may be a validation of your intuition or a hunch you had been feeling to follow one path or another. Feathers may also appear in you dreams in which it would be helpful to ask yourself similar questions. It's important to remember that a feather sign is the most important when it is personally meaningful to you. The most important question is ask is always, "What does this mean to me?" A sign or symbol is only as important as it is to the person who is experiencing it - what does it mean to you personally or how does it fit into what you are currently going through in your life? 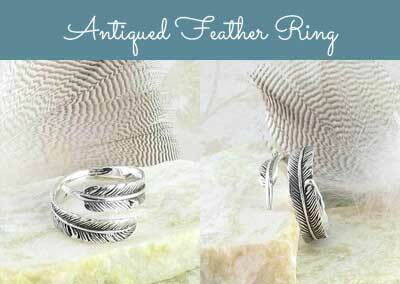 As a symbol across many cultures, feathers have always represented a connection to spiritual realms and to divinity. And because of their connection to birds, they have always been a symbol of flight and freedom, not just physically, but also in a mental or spiritual sense. Like a bird that soars through the boundless sky and has a view of all things from high above, feathers symbolize the ability to transcend and move beyond your mental barriers and limitations - to see the larger picture and understand what really matters. They represent the freedom of your mind and heart and your ability to travel, change and move through life freely. 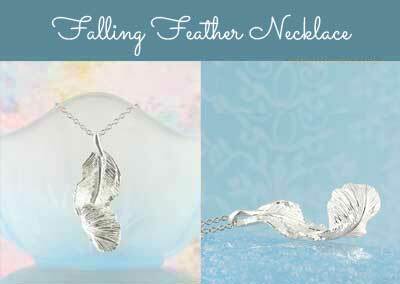 In Native American or "American Indian" cultures, feathers have always been an integral part of sacred ceremonies. They play a significant part in many creation myths and are often used in sacred clothing, as well as weapons, tools, jewelry and dreamcatchers. The Iroquois had a Great Feather Dance to thank the gods for all they were blessed with - their land and water, food and animals, the sun and moon. In this ceremony, feathers were worn in their robes, their hair and tied to their animals. Feathers have been used by many Native American or aboriginal cultures because they were seen as having a connection to the divine. The idea behind this lies in the structure of the feather and their connection to the birds and the sky. If you look at a feather, you'll notice that its central shaft is a hollow tube. This shaft was seen as a way to send prayers to the Creator and also a way to receive blessings or messages. Native Americans considered feathers to be gifts from the sky. As such, they carried with them all the power of the birds, wind and air, and the power of the sky gods. The Southwestern Native American tribes like the Hopi, Pueblo and Zuni, had prayer sticks. These sticks had bunches of feathers at their upper ends and were placed in maize fields and sacred places such as springs and caves as offerings to their ancestors. The fluttering of the feathers on the ends of the sticks was seen as a way of sending their prayers to the gods. Even as an eagle overspreads her young. 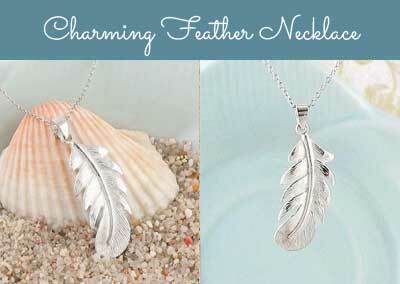 In Ancient Egypt, the feather was the symbol of Ma'at, the goddess of truth, justice and order. She is often depicted wearing a single ostrich feather in her hair. After death, the heart of each person would be weighed against the weight of the feather of Ma'at. If the person's heart, made heavy by the weight of sin, weighed more than the feather, the person would not be allowed to enter the paradise of the eternal afterlife. What does the feather mean in the movie Forrest Gump? The movie Forrest Gump begins with a white feather floating about in the breeze and gently landing next to Forrest's tennis shoe-clad foot, while he sits with a box of chocolates in his lap. The two symbols of the feather and the box of chocolates are metaphors for our lives. The feather is blown about randomly by the wind and with the chocolates, Forrest says, "you never know what you're gonna get". But while we have no control over fate, destiny or the circumstances we are born into or given in life, the movie's message is that what makes us who we are is how we respond to what we are given. All the main characters in the movie have pain and suffering handed to them in different ways - Forrest himself was born with a severe disability, Jenny had an abusive father, Liutenant Dan had his legs blown off in the war and Bubba died while others were allowed to live. On her deathbed, Mrs. Gump tells Forrest, "I happen to believe you make your own destiny. You've got to do the best with what God gave you." So, the feather is a metaphor for our lives - while we are blown randomly about by the wind, we ALWAYS have a choice in the way that we respond to what life hands us. Forrest summarizes the movie's central theme when he is talking to Jenny at her grave and says, " I don’t know if we each have a destiny, or if we’re all just floatin’ around accidental like on a breeze… but I think maybe it’s both. Maybe both is happening at the same time." What does a white feather mean? A white feather may be a gift from your Angels, letting you know that they are here to support you or to give you a little reminder to take better care of yourself. It may also be a message of hope and comfort from them, reassuring you that every will turn out okay in the end. If you have lost someone you loved, it may be a message from them letting you know they have successfully crossed into the spirit realm and are now watching over you. This may especially be the case if it is someone you were thinking of at the time. "Racing out of my front door one morning last week, I was acutely aware that I was running late for my lunch meeting, and felt a wave of panic. I absolutely hate the thought of keeping people waiting — it sends the old stress levels soaring. I fumbled with my keys in the lock then half-ran from the house, feeling flustered and rushed — certainly not a desirable state for driving. But as I looked down the drive, there on the ground beside my car lay a single white feather. As I bent to pick it up, I knew instantly what it was: a reminder from my late daughter, Caron Keating, to drive safely. When she was alive, Caron told me that an isolated white feather was an angel’s calling card. And since her death, I am certain that she uses them to send messages to me." Pink is considered the color of unconditional love. If a pink feather crosses your path, it may be a sign from your Angels that they are here to love and support you, forever and always. It is also a sign that love has the power to overcome all problems and to heal wounds. If you are going through a difficult time in your life, a pink feather may be a reminder that love, rather than judgement or criticism, may be the answer to your problems. Red represents vitality, the life force, physical energy and strength, passion, power and courage. If you encounter a red feather, it may be a sign that you are becoming stronger, or getting your strength back after a health issue. If you are in the middle of a project and wondering if the direction you are headed in the right direction, a red feather may be a confirmation of your choice. It may be a sign to have the courage and passion to pursue your aspirations. Orange is the color of creativity, emotional balance, intuition, harmony and the expression of your emotions. If you come across an orange feather, it may be a reminder to allow yourself to follow a creative endeavor you have been thinking about. Feel encouraged follow your intuition. Feel free to express your emotions, allow a little spontaneity into your life and just have fun! Yellow is the color of the sun, full of happiness, optimism, confidence and feeling good about yourself. A yellow feather may be a reminder to you to stay light-hearted, to keep a positive outlook and to know that you are enough, perfect just as you are. Green is the color of prosperity, good fortune, abundance and also of renewal and growth. Is there a business opportunity you have been considering? A green feather may be a message of encouragement to move forward with your plans. Green, being a color of peace and harmony, may also be a reminder to calm your body and mind and to spend more time in nature, allowing its calming effects to heal you. Blue is the color of communication, sincerity, truthfulness, the expression of yourself and trust in others. A blue feather may be a reminder that you need to clearly communicate yourself to those around you, but to do it with love and trust. A blue feather has a calming, peaceful energy that encourages you to have faith in yourself and to express your deepest truths. Gray is the color of neutrality, it is a sign that the world is not black and white, that there are many viewpoints to consider. A gray feather may be a reminder to step back and think about a situation in your life that may not have a clear answer. It asks you to read between the lines and to look for subtleties that may reveal another point of view or another way to think about or resolve a situation. Brown is the color of earth - comforting, nurturing, stable and fertile. It has a feeling of the comforts of home, being cozy, safe and warm. A brown feather may be a reminder to keep a balanced perspective, to live life in moderation and to set healthy boundaries. It reminds you to stay grounded, to connect with the Earth and stay present in the moment. A black feather may be a sign of protection from your Angels. Now may be a good time to take a personal retreat for some quiet and self-reflection. It is a reminder that your Angels are here to shield and protect you, and to deflect negative energies from your life. A black feather is a reminder to take time for rest and that you are not alone. Purple is the color of spirituality, of transmutation, and the opening of psychic and spiritual sight. Finding a purple feather may be a message of encouragement to become more aware of the connection between your body, mind and soul, to awaken your "6th sense" and to pay attention to your intuition. You may come across feathers of multiple colors - black and white feathers, brown and white feathers, red and black feathers or striped feathers. These special feathers are a sign of regeneration, or mystical realms and have a strong connection to the Angels. The feather is a powerful symbol for many people and one way to keep that symbol close to their minds and hearts is in the form of a tattoo. As a design that has become part of your body, a tattoo can provide an easy way to remember the significance of the feather. It is also a very versatile design that can be adapted to many parts of the body. Its ability to naturally conform to curves of the body means that it works well as a tattoo on the arms, legs, ankles, back or behind the ears, or nearly any other part of the body with a natural curve. Those who do not wish to have a tattoo may choose to wear a necklace or ring. 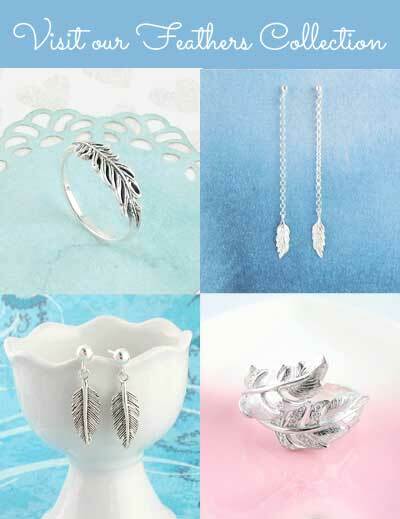 The beauty of a feather, recreated in detail in gorgeous sterling silver is a wonderful way to keep the feather's symbolism close to your heart or to remember a loved one who has passed. Photo credits: Angel photo courtesy of Dr. Les Sachs, view Creative Commons license here. Flying bird image and yellow feathers image are courtesy of Max Pixel. I walked down my internal stairs this morning and noticed a little white feather hanging on a string of heart shaped lights hanging in my front fixed window, so a very strange place to find one. God I hope it’s my dad looking out for me cause I really need his help with a major problem with my husband. He passed in February just gone. Miss him terribly. Thank you for this post. This morning I found two baby white as snow. Going to see my daughter run and granddaughter run. Then later during the day on my step I found a black feather it was mangled but it was a feather. It was found on the first step of our entrance way. I’m also taking care of 87 year old mother sometimes I feel like I lose my patience but somedays are hard. But I ask God to give me strength ♡ I’m so curious of the meaning of these feathers. Thank you so much for this beautiful information about feathers! it helped me a lot and keep me going! Last night, I was preparing my bath as I normally do. First I put cold water in the basin while I waited for the hot water to warm up and when I finally put on the hot water I realize that there is a small black feather floating in the water inside the basin, I spent some time trying to figure out where it came from, because it was inside the bathroom with the window closed and always before I put water in the basin I am careful to wash it. I started to wonder and trying to take the penalty but did not leave only on the third attempt left.